If you’re a homeowner who needs more space, choosing between moving to a new house and building an extension can be a real challenge. We break it down so that you can clearly see the pros and cons of both options and make an informed decision that will suit you and your family in the future. As families grow, our homes seem to get smaller! What started out as a spacious home for two feels a little cosier when a little one arrives, but if the kids keep coming, the house feels more crowded until we find ourselves struggling to make the most of the space available. That’s when a big decision needs to be made – whether to move or whether to stay and build an extension to provide the family with the desperately needed extra living space. Today we’re going to look at both solutions (moving or building an extension) to help you decide which solution is best for you and your family. You will have the space you need (initially, because when we have more space, we always find ways to fill it). You may move to a new area of town or even a new town, which means you’ll have a whole new environment to explore and enjoy. You can choose to move closer to where you work (cutting down on commuting time) or closer to friends and family. You’ll have the excitement of a new house to decorate to suit your taste. Your mortgage payments may increase as a larger home with more rooms is likely to cost more than the payment you receive for the house you sell. It will be expensive, and you’ll need to pay legal fees (for selling your old home and buying a new one), you’ll have to negotiate a new mortgage and pay a removal company to transfer all your possessions to your new home. You may need to register with a new doctor and dentist, which takes time and effort at a time that is likely to already be busy and stressful due to the move. You may need to register children at new schools and deal with the upheaval this may cause for them, both socially and emotionally. If you cannot afford a larger property near where you work, you may find yourself with a longer commute which is inconvenient daily. This is likely to be a much cheaper option than buying a new home. You’ll avoid all the hassle, inconvenience, stress and upheaval of moving to a new location. The kids can stay in the school where they’re settled and have formed a friendship and social ties. You’ll have the space you need for your family to grow. You can design the extension to be tailored to your family’s unique requirements, getting exactly what you want. All the fun of decorating the new extension. It will add value to your current home. You may need to renegotiate your mortgage to pay for the extension. You will need to get planning permission and deal with all the paperwork associated with the new extension, including building regulations. You will have to live in your home whilst the extension is being built, with all the hassle, mess and inconvenience associated with construction work. You will have to find a reputable building company to make sure the extension is built correctly, to your spec and complies with all building regulations. As you can see, there are good arguments for and against both solutions and which option suits you and your family best will depend entirely on you, your family and your income. However, that said, moving to a new home brings with it a host of additional inconveniences and expenses that will unsettle the family and your lifestyle for quite some time. If you opt to build an extension, many of the expenses and inconveniences can be avoided. Yes, it will be disruptive, it will be stressful but there will be an end in sight, a vital consideration. Once the building work has been completed, you can settle back into your normal, day to day routines with the advantage of having the extra space you so desperately needed, without the upheaval of a move. There are fewer risks involved when it comes to change and upheaval which is an important issue, especially for those who have young families. When building an extension, much of the stress can be eliminated by finding the right construction company to carry out the work you want done. You can avoid the risks that some experience when hiring a building firm by making sure that the company you hire is fully registered and has all the right qualifications and credentials necessary to do a professional job. You may have friends and family who have had extensions built and can recommend a builder to do the job. Or you may have a friend who owns or works for a building company and can offer you “mate’s rates”. Beware of just hiring a company recommended by others without doing full due diligence and proper research – don’t just take a friend’s word for it. Neither should you put too much credence in online reviews – not all reviews are unbiased and truthful, and some reviews are even the work of people paid to write them! A registered builder/ contractor will have the experience necessary to carry out a job. They should also carry appropriate insurance coverage which offers you protection as the homeowner. The company should also provide you with a contractual guarantee for the work they carry out on your house. 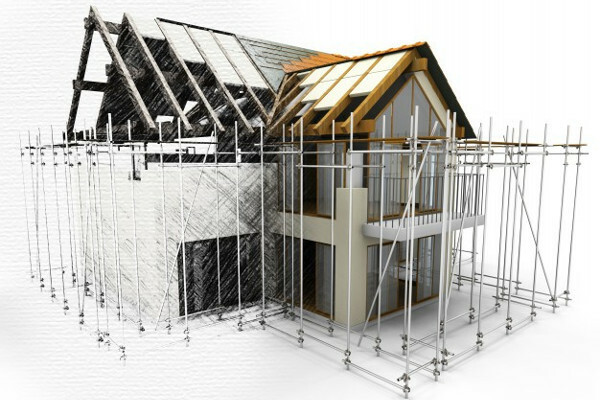 Building an extension requires the input of other sub-contractors to carry out e.g. electrical installation work and plumbing – a registered contractor is likely to have a network of other trustworthy professionals who can take care of this part of the job as part of the package. They should also have experience of construction schedules and be familiar with the project’s critical path requirements, coordinating all work so that the job goes smoothly and doesn’t cause you, the homeowner, unnecessary stress. Using a registered building company means that your extension should be built by skilled craftsmen - to a high standard, complying with all regulations and is likely to need less maintenance work and fewer repair over the lifetime of the extension. A well-built extension will add value to your home and represents a real investment in the long term. CIRI has a list of competent builders and other construction professionals who meet CIRI’s stringent standards to appear on the CIRI register and is supported by Government. The CIRI register was created to give homeowners in Ireland a high level of trust in the construction professionals they hire which means that you can be confident that your extension will be built to an excellent standard and awarded a Certificate of Compliance when the job is finished. Finding your building company on CIRI means that you should be able to add the extra space necessary to your home with as little stress as possible, leaving you free to plan how you’re going to enjoy your new living space.